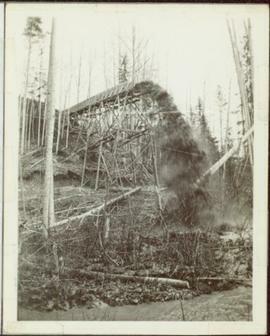 Image depicts a view of the scenery near Hixon, B.C. 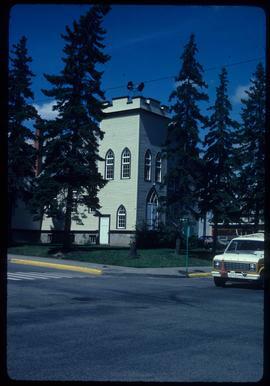 Image depicts an old building, possibly the old school, somewhere in Hixon, B.C. 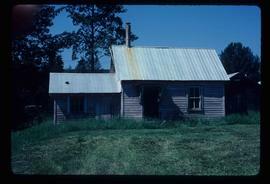 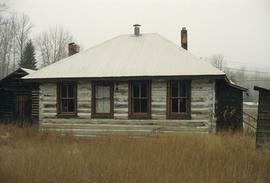 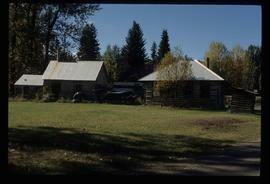 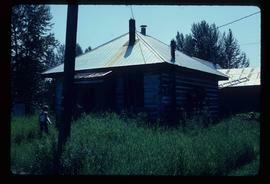 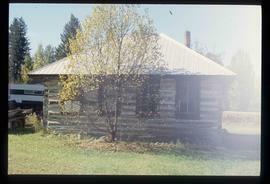 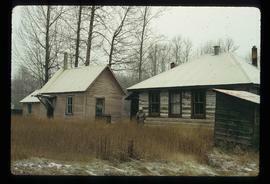 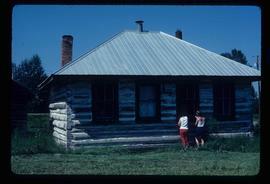 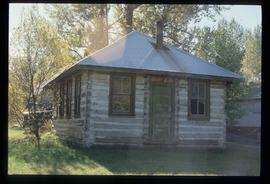 Image depicts an old building, possibly the old teacherage, somewhere in Hixon, B.C. 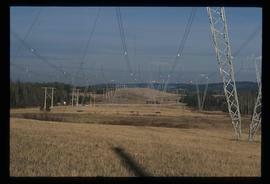 Image depicts the power lines in the Hixon area south of Prince Georg, B.C. 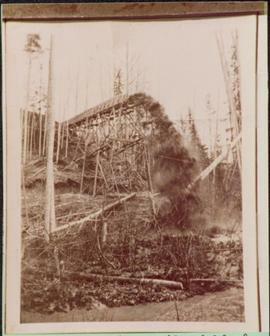 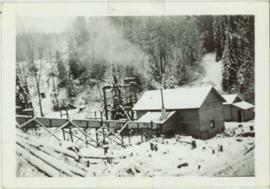 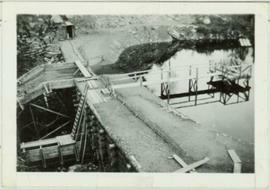 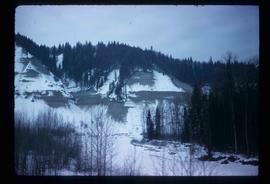 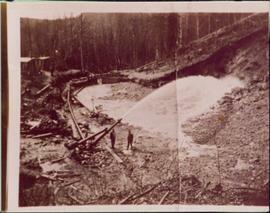 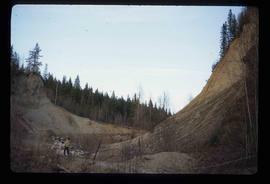 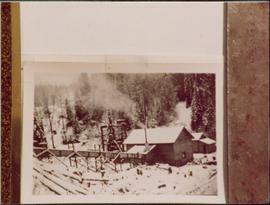 Image depicts an area of placer mining at Hixon Creek in Hixon, B.C. 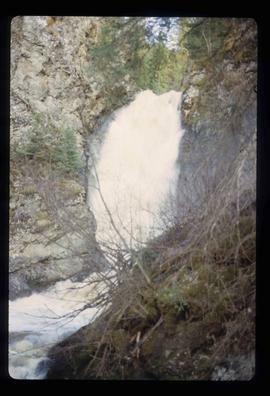 Image depicts the Hixon Falls in Hixon, B.C. 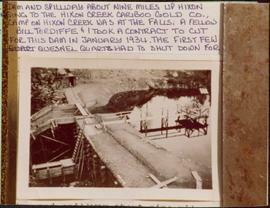 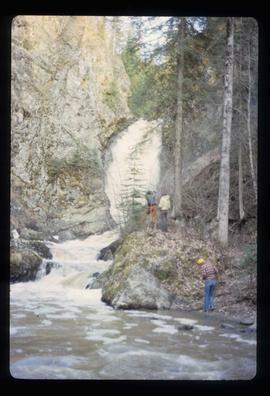 Image depicts several people standing near the Hixon Falls in Hixon, B.C. 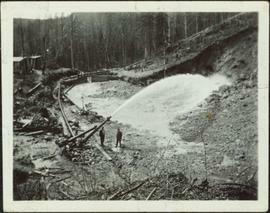 Two men stand below a large upright hose that is spraying a powerful stream of water against the side of a rocky hillside.